I was browsing Pinterest the other day when I spotted this infographic on shopping local and the benefits it passes on to the community. The info is American-based but the same principles apply to us in the UK and the figures speak for themselves – if we spend locally, this will create more jobs and increase the well being of the community as a whole. Keep scrolling after the (giant) image to see my ideas on homemade gifts! So I’ve decided to ditch the chains and massive online stores and just shop locally in independent shops for my Christmas presents this year or make food and craft gifts! How difficult/easy this will be I’m not sure yet… In Leamington Spa, we’re quite lucky to have a wide selection of independent shops plus there’s a craft market every Sunday from October through to December which is usually a brilliant place to pick up some unique gifts from local craftspeople. The local towns of Warwick and Stratford-upon-Avon also boast a good number of quality independent retailers so I’ll definitely be heading their way over the next month. I’m particularly excited about making gifts as in previous years I’ve done a few bits and bobs (chutneys, choc truffles) but never really left enough time to do any bigger projects. This is the year! So I’ve been looking online for ideas and started with a couple of foodie projects last weekend – red onion marmalade and spicy squash and apple chutney (I’ve had a sneaky preview of this and it’s soooo good! Kinda got a mango chutney vibe). 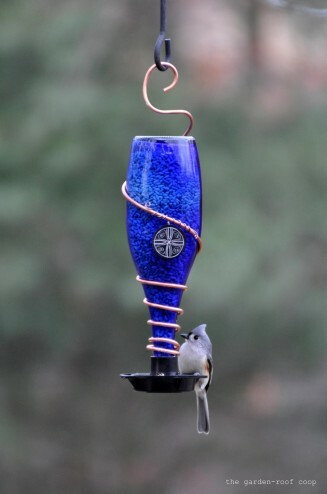 Also going to have a go at chocolate slabs/bark à la Hotel Chocolat and some biscuits… I came across this gorgeous bird feeder on Pinterest which is perfect for parents/bird lovers/gardeners so definitely going to be making one of these too. If I have time, I might try some bath scrubs/salts and package them up in jam jars I’ve been saving – just add ribbon and a pretty tag for a unique xmas gift! I’ll keep you updated with how the shopping goes, any tips/suggestions for homemade gifts or great local shops would be much appreciated! This entry was posted in Baking, Christmas, Crafts, Leamington Spa, Markets and Fayres.